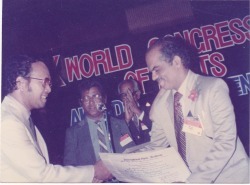 At the Xth World Congress of Poets held in Bangkok in 1988, P K Joy receiving certificate of honour from Thai Poet Prof. Dr. Montri Umavijani. 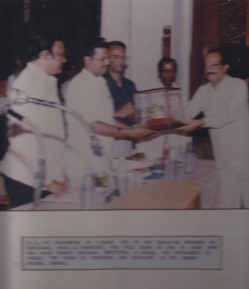 The then education minister of Tamil Nadu State Prof. E. Ponnusamy on 7 March 1995 receiving from P. K. Joy for preservation in the government museum at Egmore the Gold Crown Award won by Joy at a world poetry competition conducted by the Seoul-based World Poetry Research Institute in 1988 under the presidentship of the Korean poet Prof. Kim Young Sam. 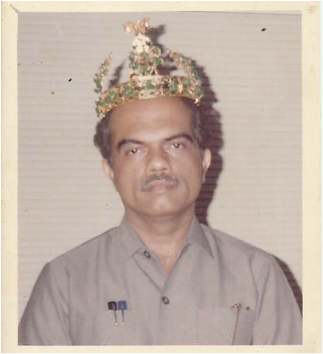 The crown is made as a replica of the Kaya Kings' crown. Kaya dynasty ruled Korea in the 5th-6th Century AD when poets and artists received enormous encouragement and financial support from the state. It is accessioned and exhibited in the anthropological section of the museum. At Sultanate of Oman in February 1989.
the 12th of February 1989 Joy was given a warm reception by the officials of Education and Youth Ministry of the Sultanamte of Oman. 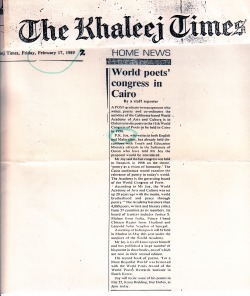 His visit was to promote poetry in general and the XIth World Congress of Poets in Cairo in 1990 in particular. At Dubai, Sharjah and Abu Dhabi in February 1989. From the 16th to the 19th of February 1989 Joy was warmly received by the Cultural Departments of Dubai, Sharjah and Abu Dhabi. The Indian community and the UAE Writers Federation also gave him public receptions. His visit was aimed at promoting poetry and World Congress of Poets. 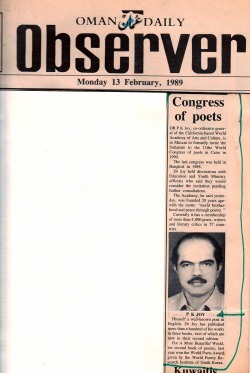 Poetry reading at Bur Dubai in February 1989. 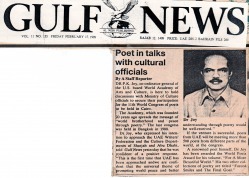 As mentioned in the last paragraph of this report, Joy performed a poetry reading on February 17, 1989 at Bur Dubai for members of the UAE Writers Federation. 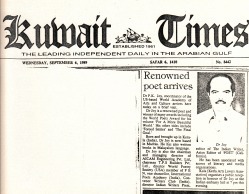 On September 6, 1989 Joy held useful discussions with the Cultural Ministry officials of Kuwait Government on co-operation in the future World Congresses of Poets. 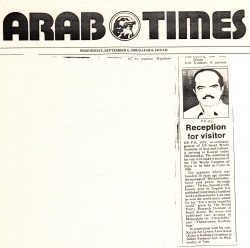 Public reception at Indian Embassy in Kuwait in September 1989. On the evening of September 6, 1989 Joy was given a warm public reception at the Indian Embassy hall. For my outstanding poetry which enhanced your world regard. For my distinguiehed writings which enhanced its fame. I'm selling cine-magazines to earn my bread, with shame. The lofty citations of the honours adorn the mud-wall of my hut. When I return home in the night they would pity me and hang their heads. While in the hands of a poor scholar who earns his food through meanial work".